Wall coverings can range from vintage-inspired flora and fauna to graphic hand-painted effects. Spring cleaning often begets a desire for shaking up décor. Slipcovers, bedding, window treatments and rugs are common switch-ups this time of year, but one key aspect of a home is frequently forgotten: the walls. Too often, they’re left blank and bland. But it can be easy to leverage that potentially wasted space to pull a domicile together. 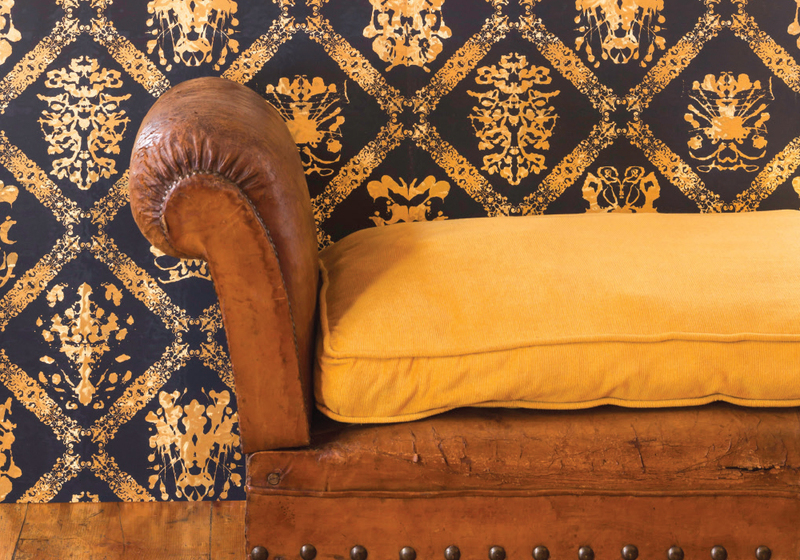 Top local designers offered up their best ideas to give walls a wallop of style. 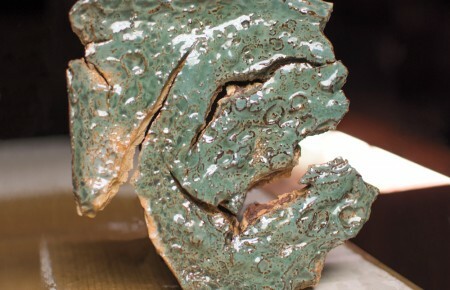 Mix flat art and three-dimensional objects to create a unique focal point. 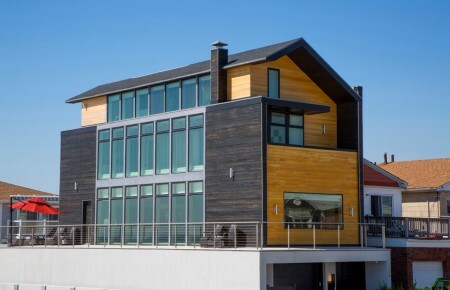 Be strategic about the design, incorporating a wide variety of shapes, sizes and colors. “The result is of something that has been lovingly gathered over time,” said Jennifer Fox of Fox + Chenko Interiors Ltd. in Port Washington. It helps to play around with the arrangement on the floor before nailing anything to the wall. Kim Radovich, of Kim E. Courtney Interiors & Design in Huntington Bay, recommended displaying traditional collections, variations on a single type of item. “Antique barometers are a favorite of mine,” she added. Hanging a large, captivating piece can be a fast fix for a lackluster wall. And this concept works for more than just canvas. “A big piece of metal artwork adds drama,” said Fox. Mirrors are another good choice, as they reflect light and make a room appear larger. Nancy LaCalamita of Twice as Nice Interiors in East Islip looks for ones in unexpected shapes, like a clover. “Something else we do to eat up wall space is hang an over-scaled clock, vintage or otherwise,” she said. 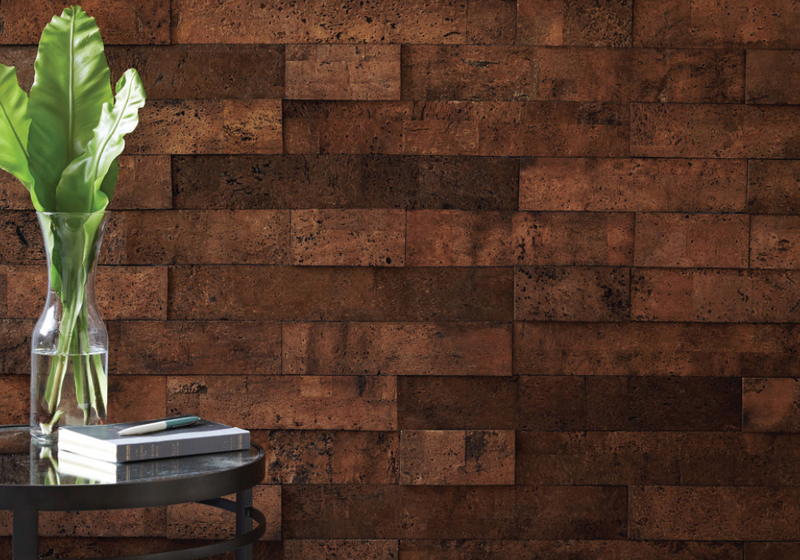 “We’ve been seeing all sorts of new products that add textural interest to walls,” said Fox. Tiles of various wood tones and patterns are popular this season, as well as those made of cork. Many are easy to install, just peel and stick. Fox has seen entire rooms with textured walls—grasscloth wallpaper can lend a chic natural look—but most homeowners opt to try the trend on one accent wall. Wallpaper is back in fashion, and the right one can act as artwork all on its own. Pattern on walls will always make a room feel less empty. Just don’t overdo it; one wall is usually enough. 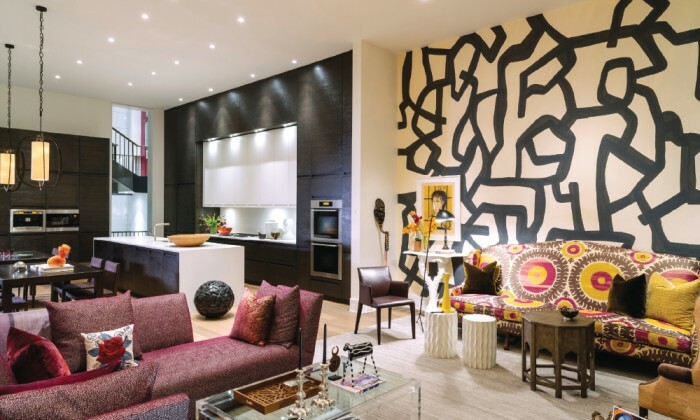 “A feature wall in a bold graphic covering instantly gives the room a wow,” said Radovich. LaCalamita recommends wallpapers that are hand painted (or at least look like they are), as well as ones with a watercolor effect. “We love barn doors!,” gushed Fox. A long-term solution to unused wall space, installing sliding barn-style doors adds a country-cool vibe, in addition to providing flexible separation between rooms. Take this trick a step further by hanging artwork behind the doors, so when they are fully closed guests still have a point of visual interest, Fox suggested. What could be easier than propping a large, decorative mirror (or several, depending on the size of the room) against a wall to add drama and visually expand the space? They work particularly well in a dining room or any room with glass or metallic accents. “The sparkle of chandeliers and other glass light fixtures are reflected in the mirrors,” explained Fox. The result? A place to entertain that is newly bright and cheerful, with a touch of glam. Lucite shelving and cubes are a fun way to make objects and books “float” over a wall. “They turn favorite knick knacks, old books and beautiful candles into a focal point,” noted Fox. These also add a touch of whimsy in a colorful child’s bedroom. A gallery wall of striking photos will make a forgotten spot pop. Stick with all black and white family photos for a powerful personal touch. “It’s always classic,” said Radovich. Printing them on slate or metal can add unexpected texture and a modern spin. Try sourcing local photographers who work with those materials. Bring extra light and style to a room by pairing wall-mounted fixtures. LaCalamita suggested installing them near the entrance to a room or flanking artwork. Tall ones (about 24 inches high) will be substantial enough to both fill space and balance out any art or mirrors already on the wall. A piece of furniture can be a speedy solution to lifeless wall space in an entryway. An open console table with decorative objects adds interest and if situated near the front door becomes functional as well, said Fox. It can double as a place to drop keys, mail and gloves. Top the spot with a mirror or shelves with hooks for even more storage potential.